The ETS C.A.M. 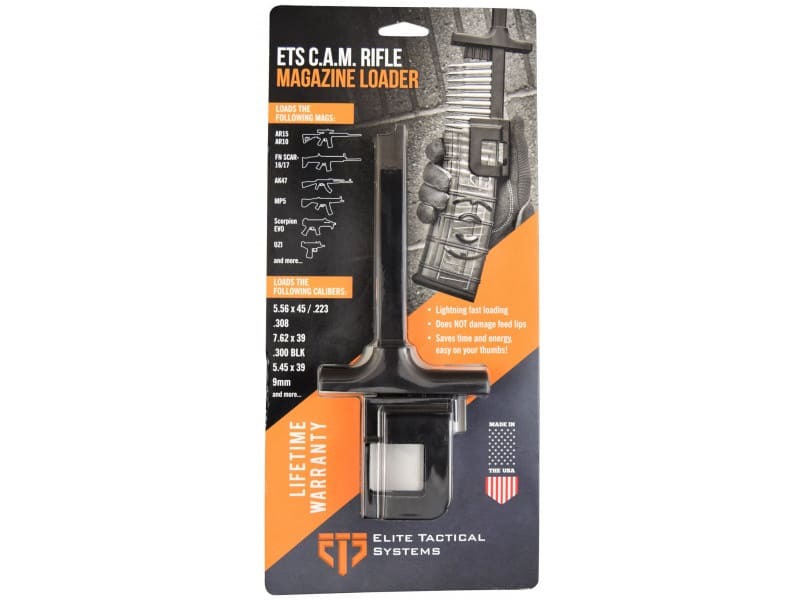 Rifle Magazine Loader loads rifle mags in seconds! 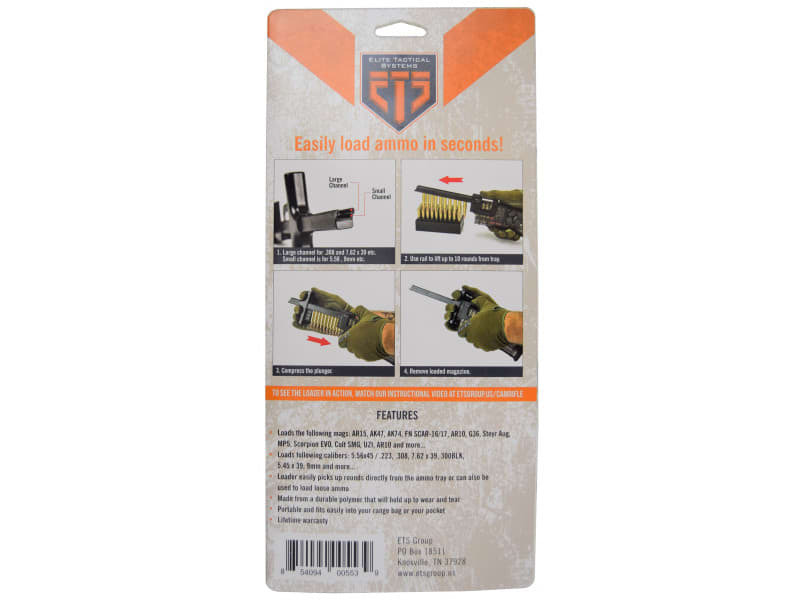 Truly the first universal speed loader for rifle mags. Picks rounds up from the ammo tray so the user doesn't have to touch the ammo. 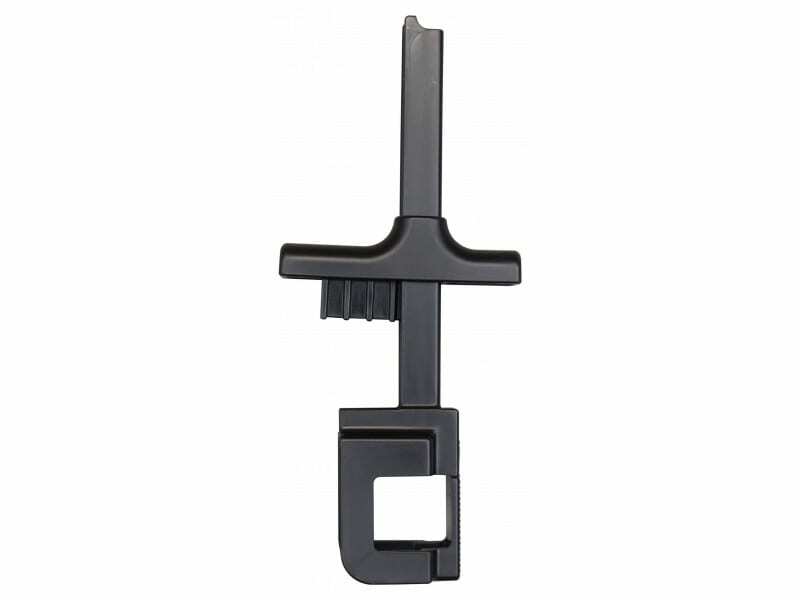 Feeds easily and won't damage the magazines in any way. 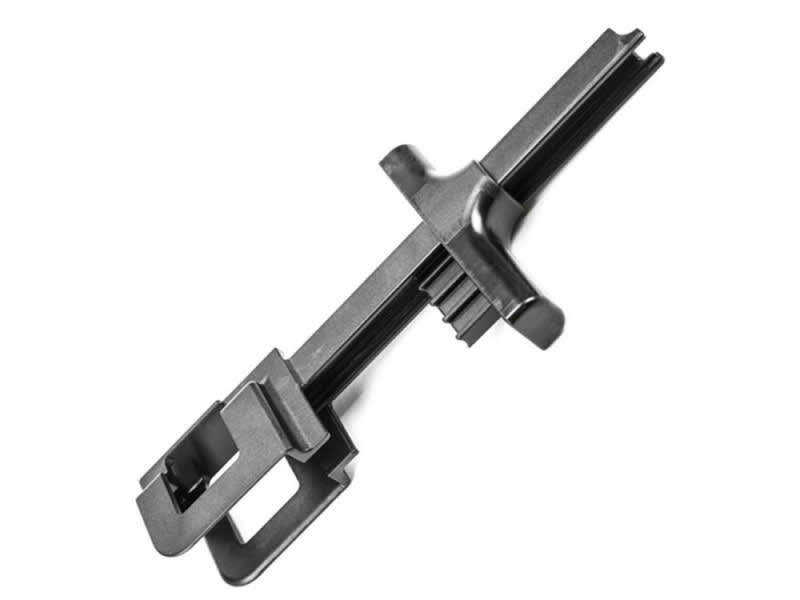 Works with AR-15, AK-47, AK-74, G36, Steyr Aug, MP5, Scorpion EVO, Colt SMG, UZI, AR-10, and more. Loads the following calibers: 5.56x45/.223, .300BLK, 7.62x39, 5.45x39, 9mm, .308 and more.